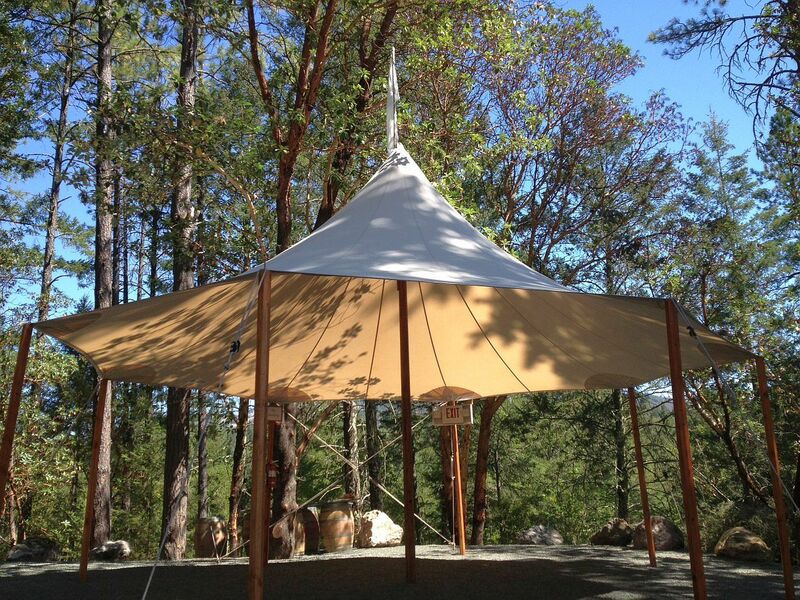 With an area of 454 square feet, the 24′ round tent can accommodate up to 32 guests seated or 50 guests standing. 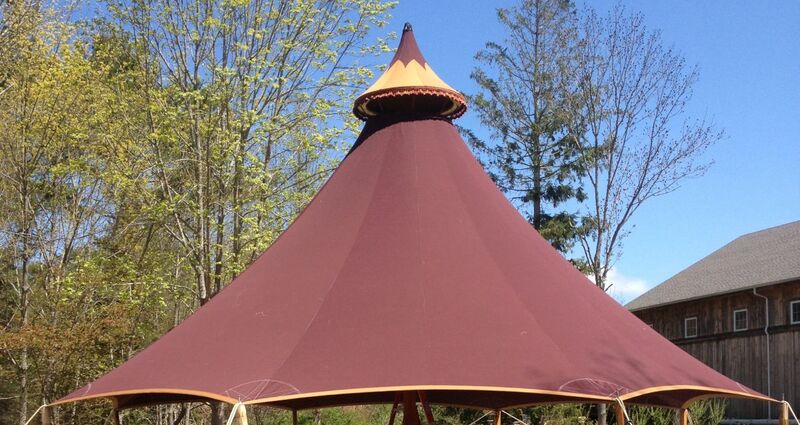 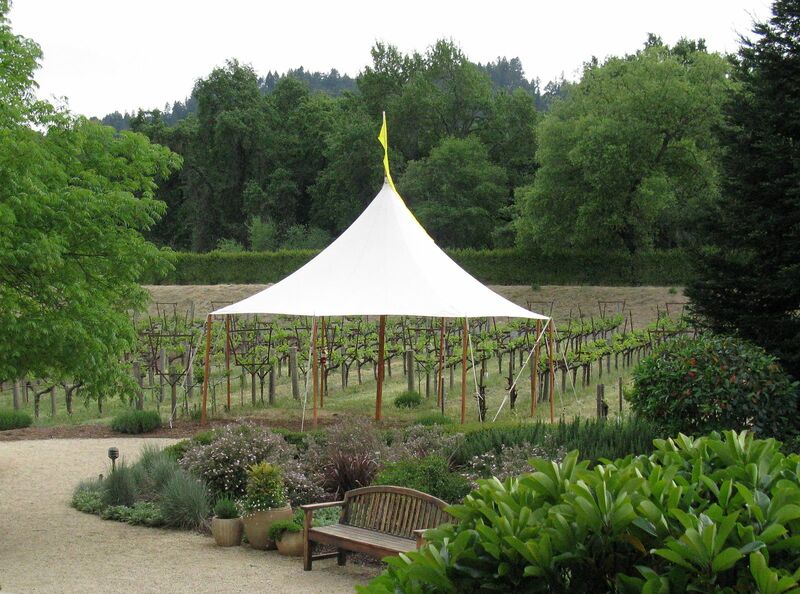 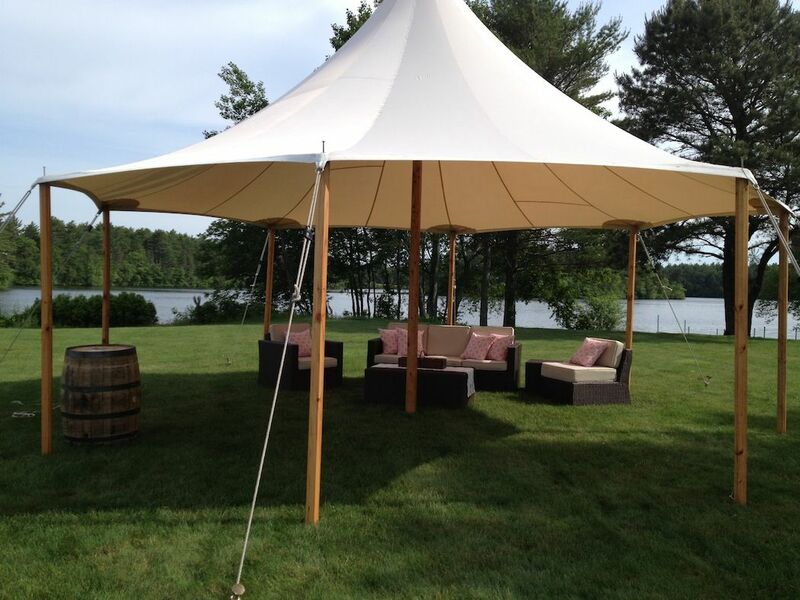 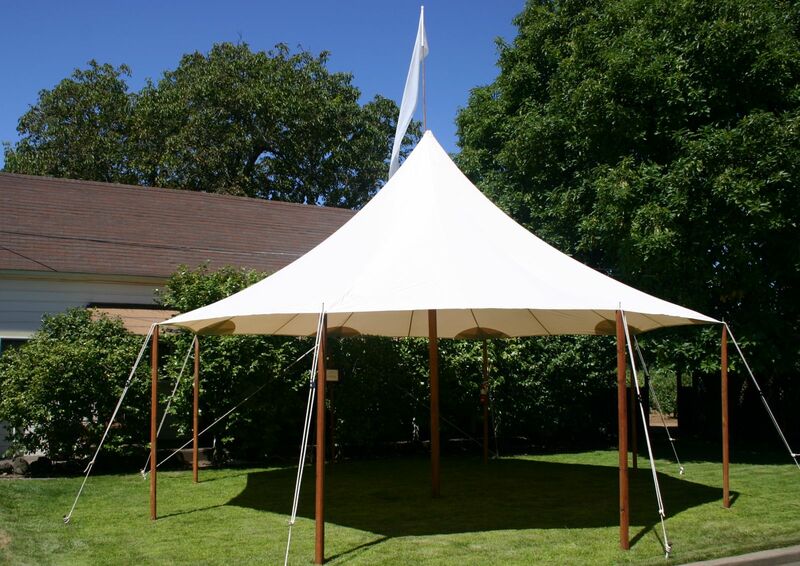 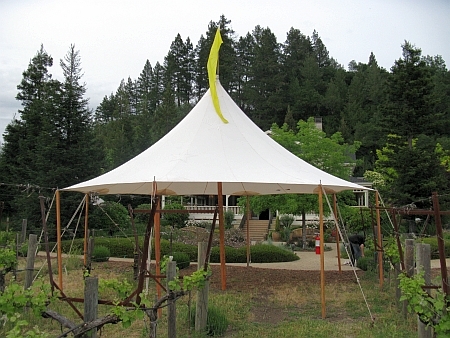 This small tent also makes a great kid’s tent at weddings or a catering tent. 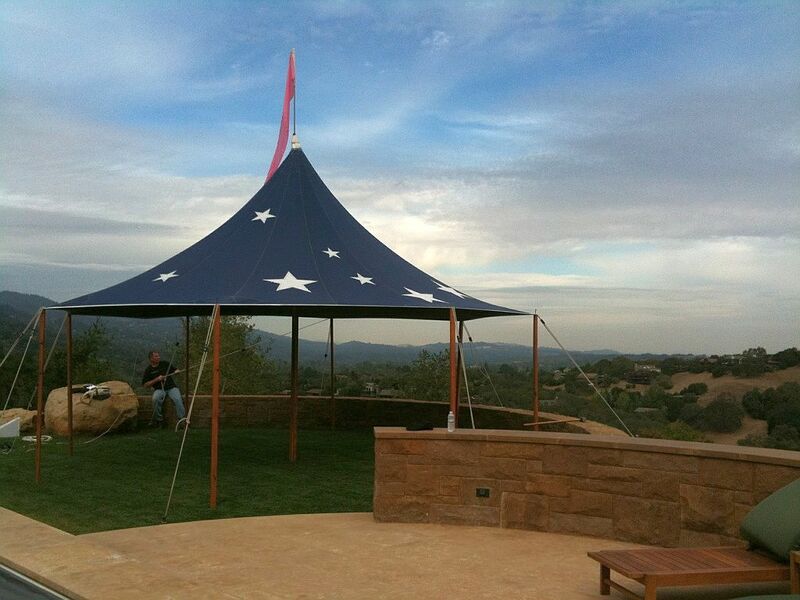 The 24′ round comes in our classic ivory color as well as Nantucket blue with white stars. 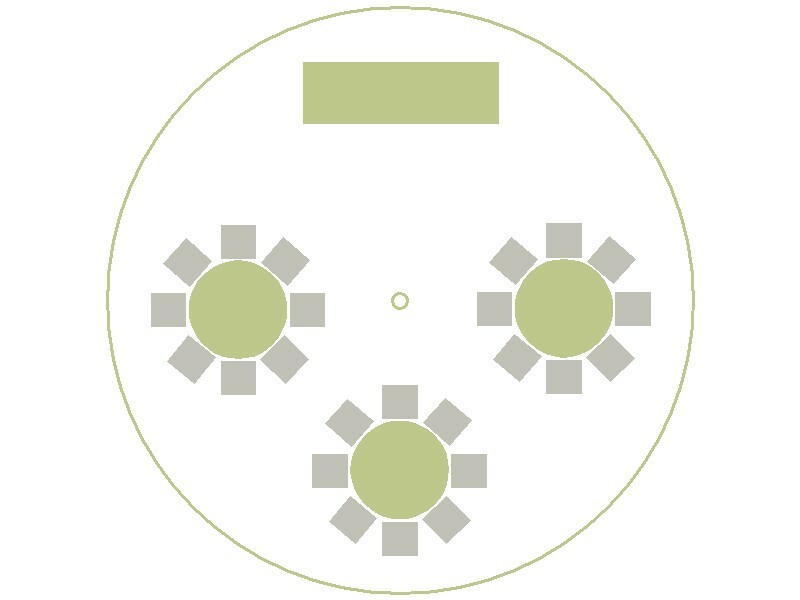 The sample diagram below shows 24 guests seated at (3) 54″ rounds and (1) food and beverage station.